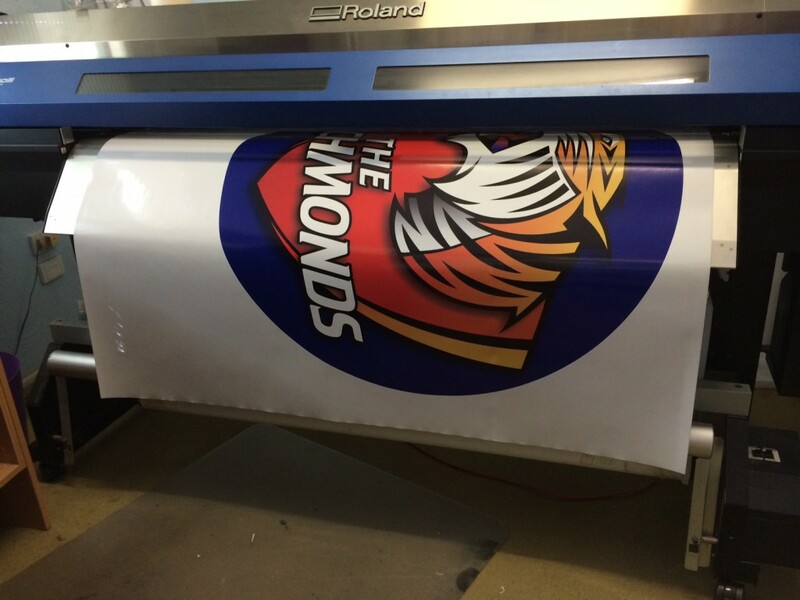 In our Noosa Sign factory we have four digital printers humming away printing our signs. Our large format printers provide you with bold colours and are ideal for all signage solutions – particularly small quantity orders. 1. Oce Arizona Digital UV Flatbed – this efficient printer is for versatile, higher volume production of high quality large format display graphics printing onto rigid substrates. 2. Roland Soljet 6 Colour Roll Printer – a powerful wide format high resolution printer. 3. Computer Cut Vinyl Printer – creates our sharp and vibrant computer cut vinyl signage. Large range of stickers suitable for many substrates such as vehicles, boats, corflute, alubond and timber. 4. Epson Stylus Pro – ultra high resolution printer creates incredible prints particularly for professional photography and gallery quality artwork. We now offer a smaller offset and digital printing service catering for all your stationery and marketing needs. 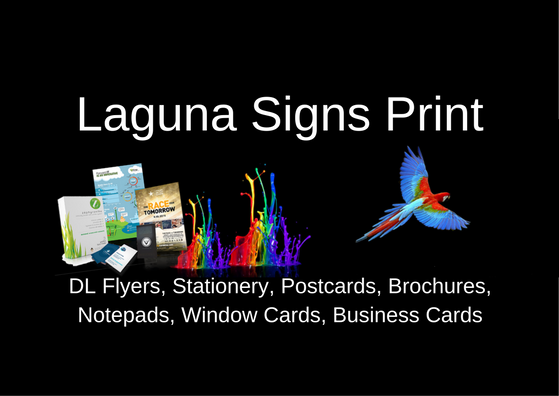 We print DL Flyers, Stationery, Postcards, Brochures, Notepads, Window cards, Business Cards, Booklets, Posters – anything you need printed, we can do it! We have an experienced team with loads of experience here to offer you the best service (and back up service) in Noosa. With maximum capabilities we can offer a super fast turnaround ensuring tight deadlines are met. We offer various gsm (thicknesses) with an array of stocks including gloss, silk, matt. Coupled with our printing services we offer binding, scoring, perforating, and folding. We have quantity breaks where the more you order the better price you will pay per item. Ask us about our pricing structure. 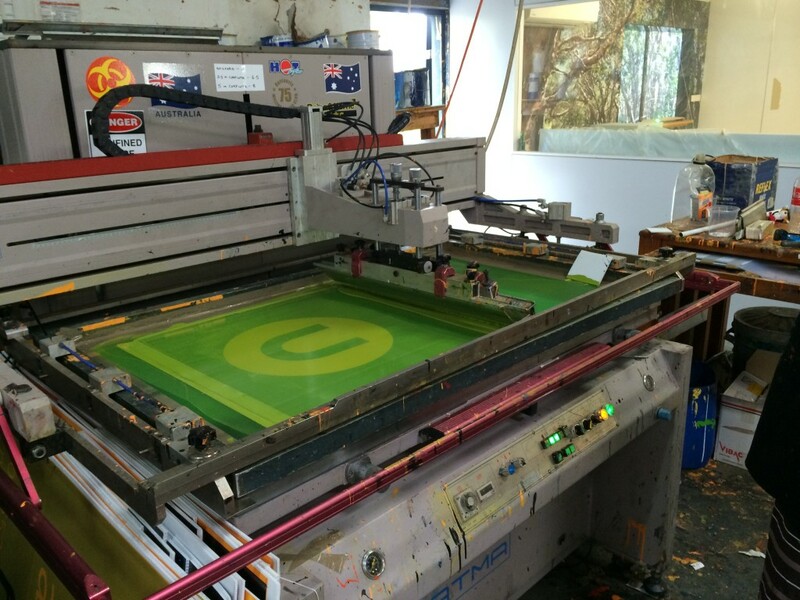 The art of screen printing is crafted in-house at Laguna Signage Solutions, Noosa sign factory. This is a popular method of printing for bulk signage with minimal colour variances. The colours obtained with screen printing are far more vibrant and true to form than the newer digital style of printing. A stencil method is used where a design is imposed on a fine mesh with black areas coated with an impermeable substance. Ink is forced into the mesh openings by a squeegee and onto the printing surface. As the screen rebounds from the substrate the ink remains on the substrate. We screen print bulk signs for Real Estate Agents – all the generic For Sale, Auction, For Rent and directional signs. This method of printing is very cost effective – the prices get lower with the more you order. Quantities are usually in 50, 100, 200 runs. Copyright 2019 © Laguna Signs. Developed by Digital Organics.